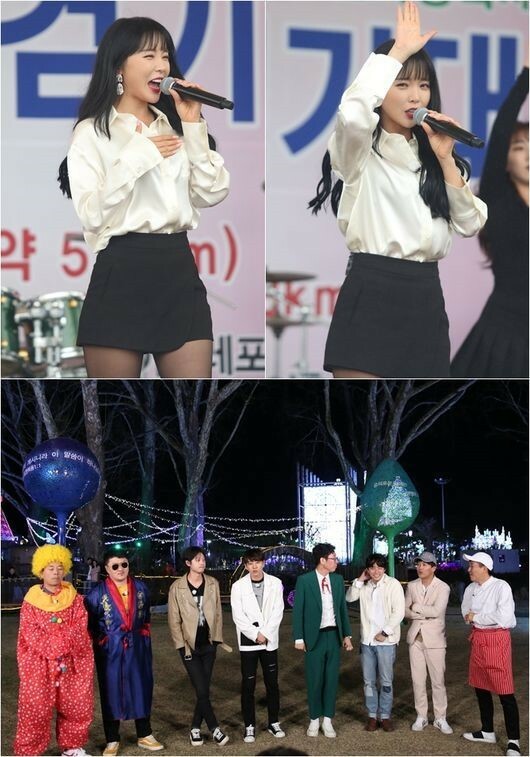 On the next episode of '1 Night, 2 Days', the cast members invited Hong Jin Young to the show to finish up their mission of organizing outdoor festivals for the public. The trot singer Hong Jin Young is well-known for her popularity among festival organizers across Korea, coined as one of the best in the business for hyping up audiences for various public and private celebrations. Seeing Hong Jin Young, Kim Jun Ho shouted, "The real master of festivals has arrived!" Following Kim Jun Ho's comment, Hong Jin Young revealed, "I only slept for 2 hours, yet again." When the members couldn't hide their astonishment, the trot singer went on with her positive attitude and said, "Well, festivals are the best when they start from early in the AM!" During the episode, Hong Jin Young will be teaching the '1 Night, 2 Days' cast members how to dance to her hit tracks "Battery of Love" and "Thumb Up', flaunting her true skills as the queen of excitement-filled festivals. Tune into '1 Night, 2 Days' for more on May 6 at 4:50 PM KST on KBS2!